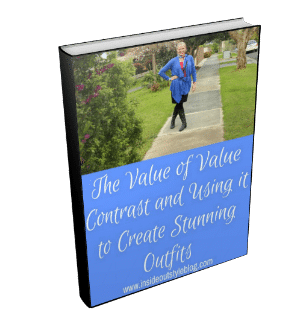 How do you know when you’ve hit your happy point on your style journey? Is it the same for everyone? Once you’ve hit your happy point, where do you go from there? What do you do on a regular basis to keep yourself up to date? 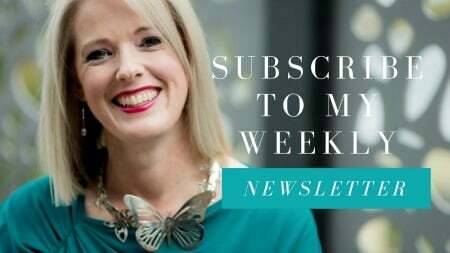 This is the question Jill Chivers of 16 Style Types and I were asked to address in this video. What is Your Wardrobe Happy Place? We interpreted this to mean reaching a point in your style where you feel you’ve gotten it all together. You’re happy with your style and what it’s expressing. 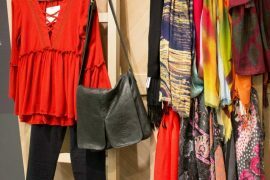 Happy with the items in your wardrobe working for you, being able to be mixed and matched, to create a variety of outfits. 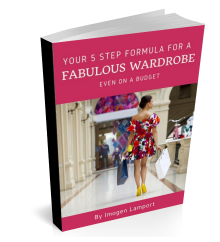 Having a wardrobe that suits your lifestyle and needs. Feeling at peace with your style and a sense of joy. This usually comes when you understand your body shape and its unique features, you understand your clothing values and how they are expressed through your style, your colouring and have a palette of colours that harmonise both with you and each other so it’s easy to mix and match and create lots of outfits, and you get how your personality is best expressed through your style (it’s that “It’s so me!” feeling when trying on clothing in a store, rather than “It’s not me” that is so common). 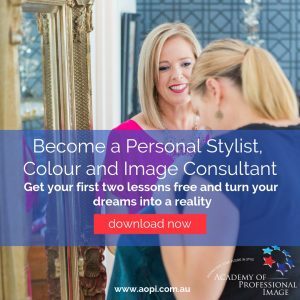 My 7 Steps to Style program will help you identify most of these elements of your style – and our Style Types report will give you that critical “who am I” piece of the style puzzle. 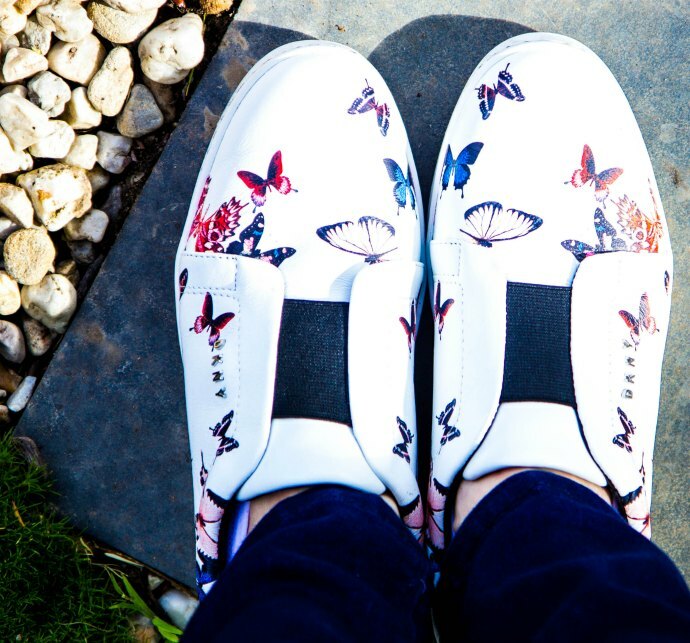 The minute I saw these butterfly sneakers they said “I’m Yours!” to me and I knew they’d fit seamlessly into my wardrobe – a colour I’d wear, a pattern I love, and with the comfort, I crave. What is Critical Mass in Your Wardrobe? This could mean that you’ve got limited space and you’ve hit maximum capacity of what you can store and use effectively. When you hit the limit of your space, you need to create a one-in-one-out policy (or something like that). 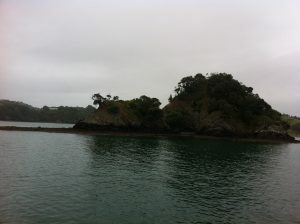 Before you buy anything new ask yourself “where will I put it?”, if you’ve hit critical mass as far as your space goes. So this means you don’t have multiple layers on one coat hanger (you never see what’s at the bottom). That you don’t have items stored in places that are hard to get to (honestly, you just won’t bother to try and get them out to wear them). If you can’t find something to let go of in your existing wardrobe by asking “what will I let go of to bring this new item in?” then maybe, you just don’t love the new piece enough (it’ doesn’t rate an 8, spark joy, or whatever are your criteria for bringing in something new). Not sure if you’re really satisfied? Think about the last time you went out somewhere (it could be anywhere, from work to lunch to a wedding …) and you realised that your outfit just wasn’t quite there – such as needing a layer to go over the top and you go through all your layers and nothing works well with the outfit, or you just don’t have the right shoes that set off the outfit. This means there is a wardrobe gap or hole that may need filling, and you’re not quite at your happy place. Do You Have Possibilities or Options as Part of Your Style? Being in a Happy Place means that you have enough faith in your ability that you don’t need to shop for any new event or occasion that appears, that you know that you can pull together from your existing wardrobe an outfit that you feel stylish in that will also be appropriate. You can improvise a solution for that event. Your clothes will wear out, they will fade, get snags, pill and become dated. 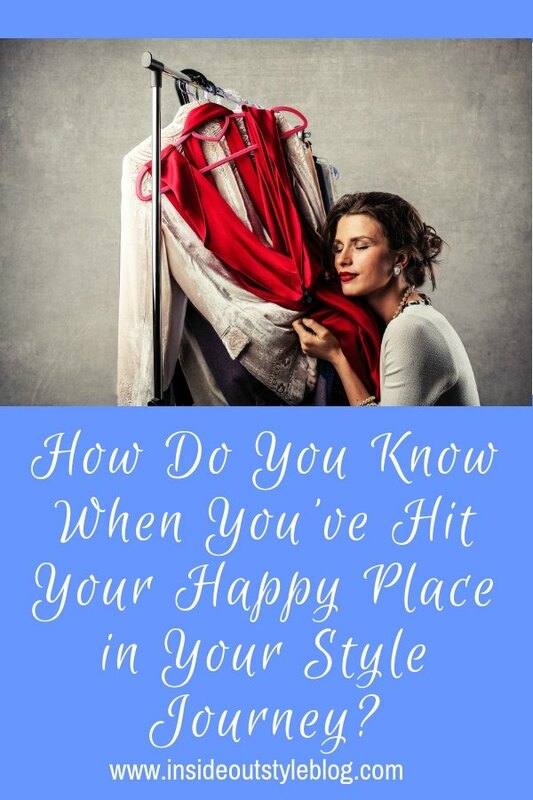 Your wardrobe is not a static place, so as much as it may have been a fabulously happy place, it’s also, like the kitchen, needing some restocking on occasion. 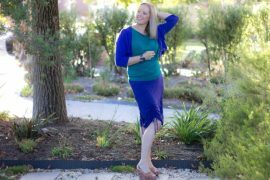 In fact, if you look at this post on how long garments actually last for, and how long they are likely to stay in fashion, it will make you realise that your happy place wardrobe won’t stay that way forever. It will need regular updating and reappraisal. Is it still in fashion? And the way you’re wearing it, is it looking current? Many items stay in fashion for a long time, but what you wear them with and how you put them together will morph over time. Being aware of what’s around, the current ways of wearing garments and accessories (tucking, half-tucking or not tucking is just one example) will help your look stay modern and current. It’s good to review your look – even hairstyle and makeup every 5 years. Is it Still a Favourite? If you’re not wearing a garment or accessory anymore – why is that? It may have been a favourite in the past and you may have loved it, but if you’re now passing it over for other pieces maybe it’s time to let that item go. It’s good to run the question “can I imagine wearing it again in the future” past these items. Quite often the answer may be “no”, as you’ve moved on from that item or fashion trend. So many women don’t enjoy shopping. Yes, this is the truth – there are lots of reasons for this – but being female doesn’t equate to a love of shopping for clothes and accessories. 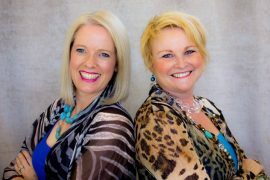 If you are one of those women who want to not think about style, wardrobing and fashion as much as possible, it’s worth just scheduling in time with someone like me – an image consultant – to come and help you reassess your wardrobe for what is still working and what may need replacing or updating every year or so (at least once every 2 years). 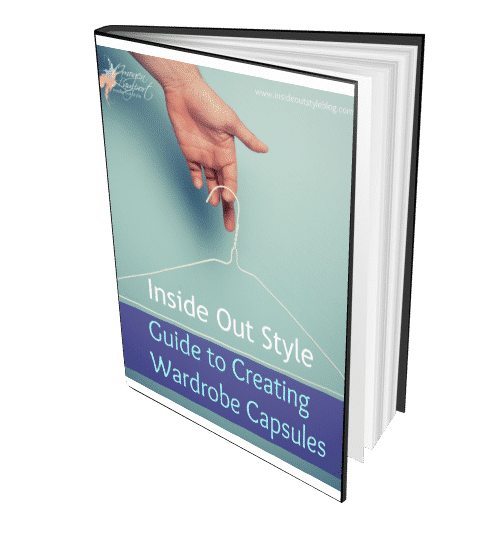 This way your wardrobe can stay in a fairly happy place, without constant adjustment or thought. The beginning of new seasons is a great time to reassess that season’s wardrobe and see if it still comes up to scratch. After not having worn items for a season, it’s much easier to see with fresh eyes if the pieces are still in good condition and that they still represent you and your current style recipe and are earning their keep by making your wardrobe a happy place and which pieces have worn out and need to be replaced with something new. 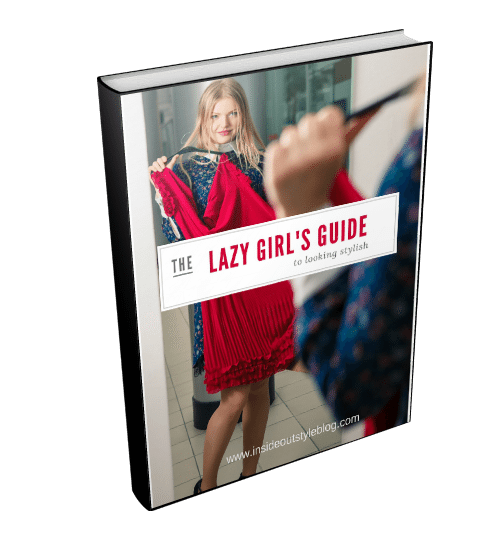 You can do the Would I Buy it from a Thrift Store test to make a decision about whether or not it deserves a place in your current wardrobe. 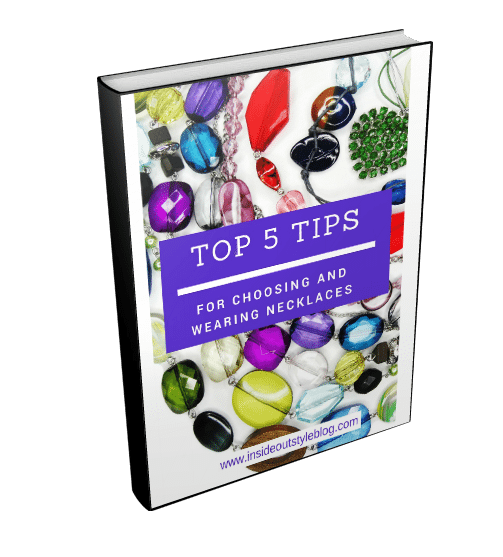 If you’re not sure about a garment, think about putting it up for review – wear it again, style it a few ways – if you love it, and can imagine wearing it again and again, then keep it. But if it no longer works in the way you want it to, it may be time to let it go. 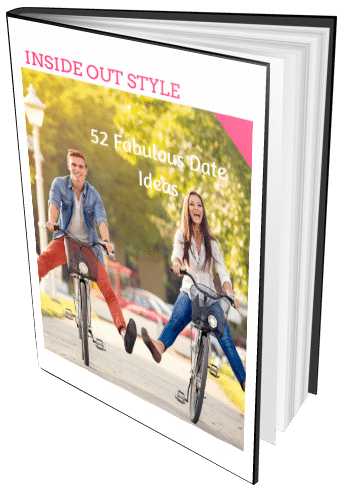 It’s also good to reassess your style recipe every year or so to see if it’s still representing you and working as an assistant for you to help you create the stylish outfits that express who you are today (not who you were a year ago). Each Style Type will have a different speed and need for change or consistency. 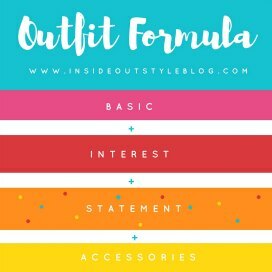 How often you review, and how much your style changes will be different depending on your personality (and lifestyle and needs). What is your happy place with regards to your wardrobe? What does critical mass mean to you? 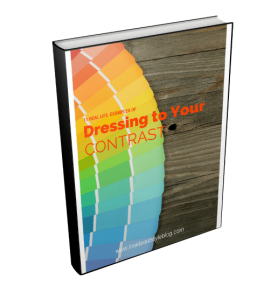 How does your Style Type influence the speed of turnover or change that you enjoy experiencing in your wardrobe? Love your shoes, Imogen! Of course you couldn’t pass them up…butterflies, a thing of beauty just like you! Very thought provoking subject and video today from two of my favorite gals. 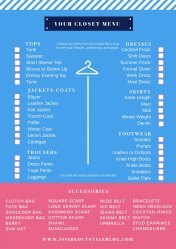 Does any woman really need several closets overloaded with dressing items? Unless you’re a Hollywood starlet, I don’t think so. 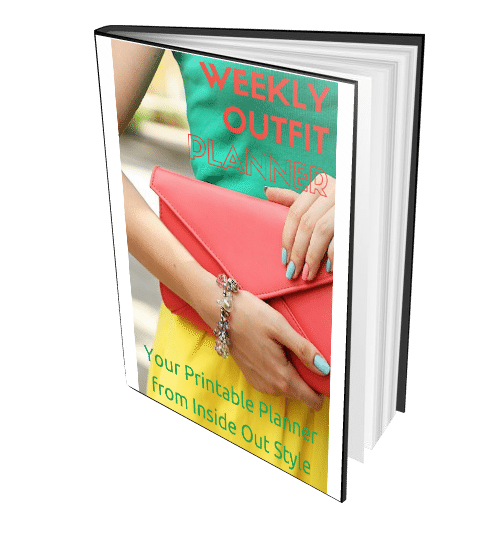 Integrating a new item of clothing into a wardrobe takes a lot of work and Styling time. Closet clean outs are loaded with clothing items that still have tags on. As for me, I am determined to contain my personal items in one designated space. It takes work arranging, rearranging, trying different hanging techniques, etc. Very interesting, by spending more time in the wardrobe area, I spend less money, have become more aware of fit and color coordination, and really like my wardrobe much better. Now, updating and new looks. As a petite, H style figure, it’s very difficult to incorporate new pant trends, such as cropped flares☹️ Updating accessories has daunting areas, such as the little round purse(on a straight figure?) While my goal is a have a color coordinated wardrobe I have stopped purchasing one piece at a time. Today, I only purchase complete ensembles and pretty much retire several items at a time as well. I find I have more looks that I love, can mix colors within my closet and am able to refresh my wardrobe on a regular basis. 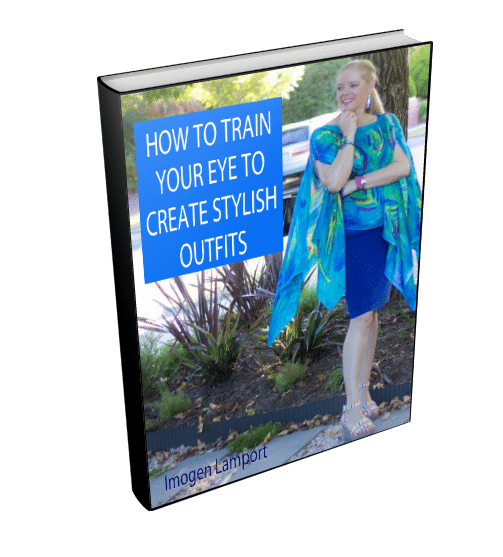 Thanks to you, Imogen, I am doing a much better job choosing the right colors and styles….thank you!! I’ll be anxious to hear what works for others. 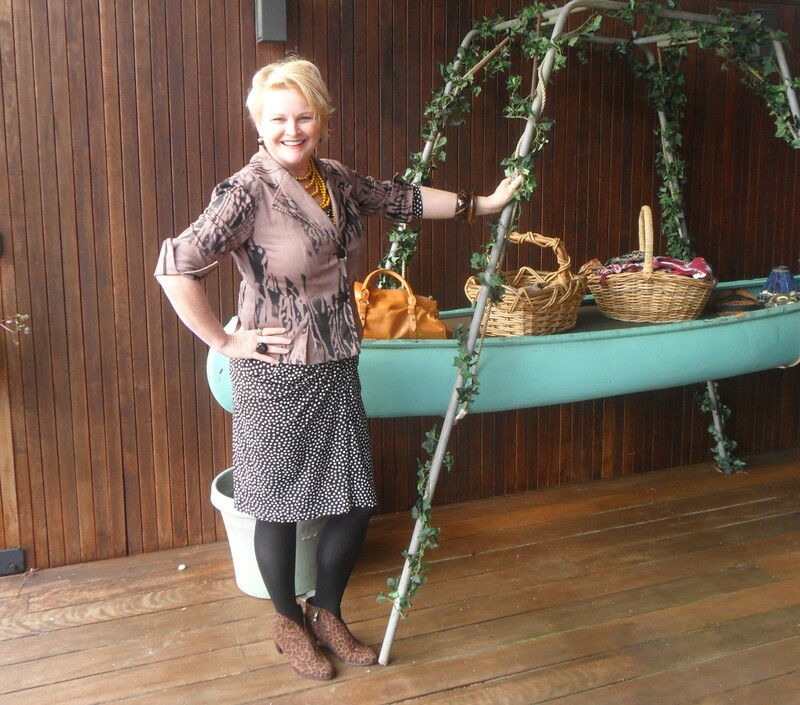 Your blog Imogen, as well as Jill’s 16 Style Types, are so full of information that it’s quite impossible not to grow! Since I have found out that I’m an ENFP and not an I…. whatsoever 🙂 as I always have assumed due to working all my life in a corporate environment. Possibilities are a huge part of an ENFP essence style – finally, I got it why I have been drawn to lots of different styles in my life. In boundaries, of course, due to my job environment! Jill, Imogen that was such a game changer. 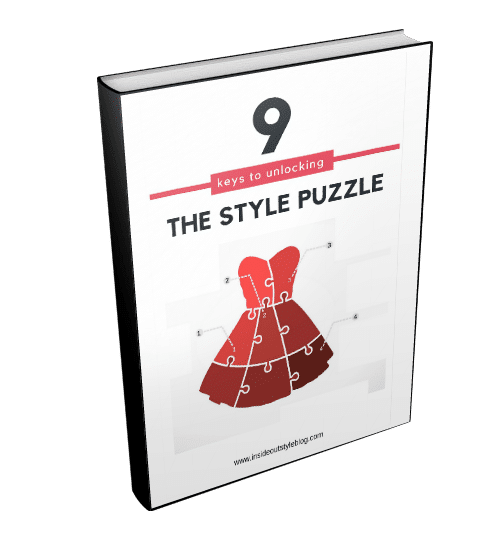 Taking the 7 Steps to Style course has helped me to understand my personality and my taste. Easy Elegance stands for modern, sleek, timeless, luxurious, elegant, understated and comfortable. Last year, we have moved from Luxembourg to Biarritz. It was easy to get rid of the corporate wear but then I’ve been struggling how to translate my style as sloppy casual wear is not me. Imogen’s color knowledge has made the difference – the colors that were ok in Luxembourg were no longer working in the Southwest of France! 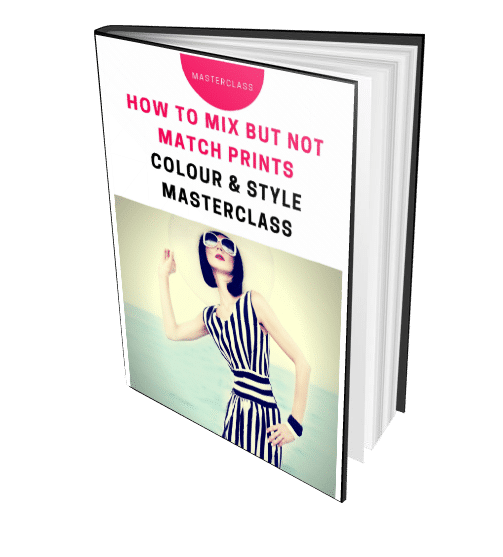 Being aware that my Style Type is not a minimalist one neither a speedy turnover one – I have made decisions on what to keep and what would be allowed to enter my happy place. By arranging, assessing, trying different things I have become more aware of what I really like or not. Surely a more conscious shopper as I have 2 mantras – less is more, the second one seulement l’exquis! Cleaning out my closet has been sometimes very painful as I was shedding layers of my former life. I was so happy to leave the business attire but I didn’t know anymore who I was without those clothes! It may seem so ridiculous it took me nearly a year to clean out in waves. Everything I have learned I have tried to trickle it down in order to find my happy place. Not yet arrived I would say I am at 90% though I feel much better without the stuff I’ve cleared out. When I look for new items they must fit into my Style Recipe as I am usually a “keeper”. I pay attention to the color and fit l(H shape). The garments must be beautiful in my eyes. I wear mainly soft neutrals (except for dark denim) and I usually manage to incorporate a pop of color. Wearing some red and yellow again – I got even compliments for those colors and no more fear of being too much! Thank you, Imogen and Jill, for sharing your knowledge. 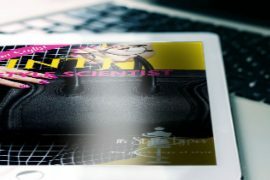 Thanks for sharing Catia – it’s lovely to see how discovering more about your type and understanding your innate preferences has helped you along your style journey so that you don’t make stupid mistakes (such as throwing everything out) and knowing what is important to you makes this authentic and relevant for you. Thanks for another great video! 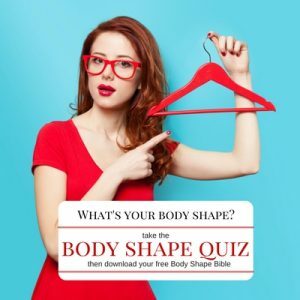 So much to consider….and I too was wondering how I’ll “know” when my wardrobe is really working and I’m satisfied. I have rather limited space, but feel better with a more modest amount of items(not minimal though). If I have too “many” things they just don’t all get worn. Better that I can use what I have in different ways. I slowly got rid of a lot of things and now strive for versatility and “beauty” in each piece and no more “it’s ok…..I guess” items! (learning what my values really are, what works for my shape and finding my colours has really been a giant step towards this…THANKS IMOGEN!). I also try to do a mini-assessment at the start of each season, and do leave things out to “reconsider”. I recently left a job that I was doing for over 30 years and I’m just really realizing who I am clothing wise. I was, of course, buying things suitable for work (restrictive dress code) but I was very surprised to see how much that was affecting my overall dressing style-even non-work wear. Slowly but surely I’m coming to my happy place….I’ve been looking for “everyday” items that can go up or down a level of refinement or “casual-ness”. Elegant, simple, easy to wear/change up, for different moods or occasions. (This came from tips from my INFJ style report). But I do seem to be missing that little spark, the magical little thing that brings good to great. And I do have a few identifiable gaps in items I need. 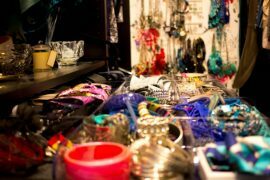 It’s been wonderfully helpful to learn that it’s an INFJ tendency to have that perfect piece/accessory/outfit in your head and be looking for it….honestly, even if I did find it, it’s only “life-changingly perfect” in my head! So I’m trying to just let that go…. 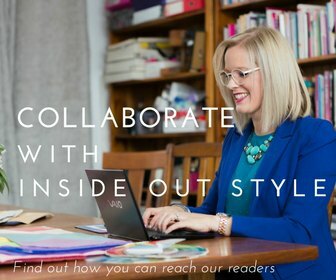 Another useful thing for me has been this sentence from my style report: “Your unique style expression comes from pieces that are unusual or different in and of themselves, rather than through edgy combination of items.” Now that I’m aware of this (and I DO THIS! all the time), I’m trying to be more creative with my pieces—I think that may be part of the missing spark. Also in my report, and this follows logically, that I might tend to buy pieces I think are wonderful, but don’t know WHAT to do with them after—another little gold nugget of info. So, overall, I’ve learned SO many wonderful things, gained such insight and knowledge from “7 Steps” and my INFJ Style Type info. It’s certainly making a difference and as I said earlier, I’m getting very close to my happy place. I’m still working on the few things that are missing-but feel more confident that I know what they are and how to accomplish them. I do like to replace things regularly, and keep things fresh and updated somewhat. I’m really hoping that I’ll start to enjoy shopping again—for years it’s been frustrating, anxiety-ridden and more like a chore, but things are definitely changing for the better. 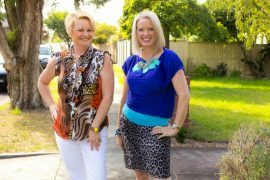 Thanks so much Cathy – I’m so glad 7 Steps to Style and Your Style Type report have given you the ability to find your happy place! 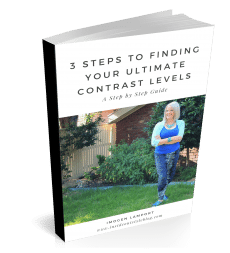 Like everything worthwhile, it takes time – but it seems like you’re discovering it in a really authentic and thoughtful way that’s just right for you. This is a really good topic. I’ve lost a lot of weight in the last 2 years, and have been so delighted with fitting into smaller sizes (and NEEDING smaller sizes), my closet is packed. I’ve been giving my sewing machine a workout, altering what I can. But I’m at max capacity (after a huge clear-out and reorganize) and I’ve got to be strict on the one-in, one-out rule. After about 5 years of study (including your SO-helpful resources) I finally know my own style, what looks good and what doesn’t. I can pretty much instantly tell what will work. And if it screams to me when I walk into the store, I will not regret the purchase. My answers to your questions helped me realize that yes, I’ve got any occasion covered, from my niece’s wedding next year to the black-tie party I’m going to next Saturday, as well as every work day and casual wear. Thanks so much for your expertise. Between your books that I’ve purchased and what you have free online, you have helped me SO much.